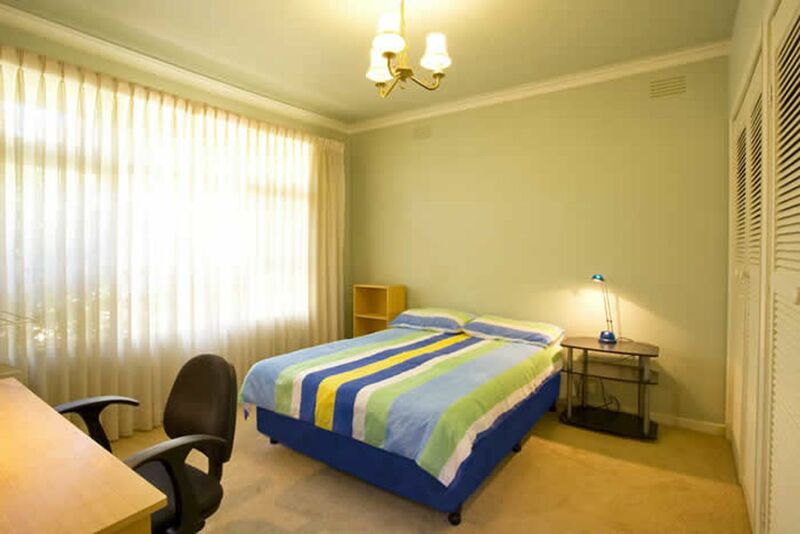 Live in student accommodation just over a kilometre from Deakin University’s Burwood campus. Pick up lunch in the foodhall at Fusion. Start your weekend with brunch at Stream Café or a jog along Gardiners Creek Trail. Take the tram five minutes to go shopping at Burwood One. The heart of Melbourne is just over 45 minutes away by tram so you can explore St Kilda or make the most of the city’s incredible music scene. 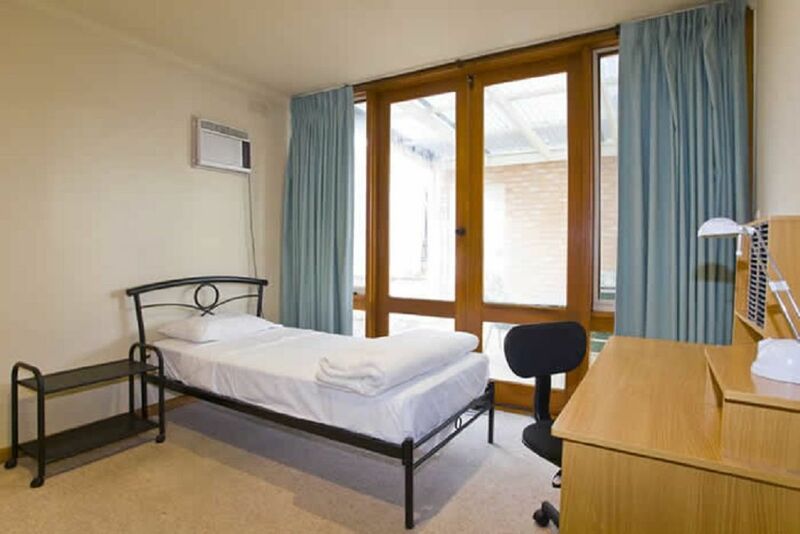 Inside your student housing in Melbourne you’ll find seven bedrooms with large windows, comfortable beds, a wardrobe, wall shelving as well as a desk and chair for you to study. There are two bathrooms with two separate toilets so getting ready each morning will be easy. Make yourself breakfast in the kitchen, then sit at the dining table to eat overlooking the lounge area. On warm days, throw open the patio doors to the garden and sit at the outdoor table. If it gets too warm you can always turn on the air conditioning, or use the gas central heating to keep warm in the winter. Heating and cooling are included in a simple rent payment along with your utilities like gas, water and electricity. You can choose to connect to wireless internet to make staying in touch with family easy. 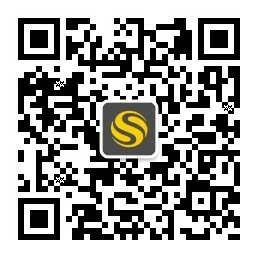 Use the maintenance service any time you come across an issue at home. Wir haben leider keine Unterkunft gefunden, die deinen Wünschen entspricht.Alle Mehrbettzimmer in Greenwood House ansehen. 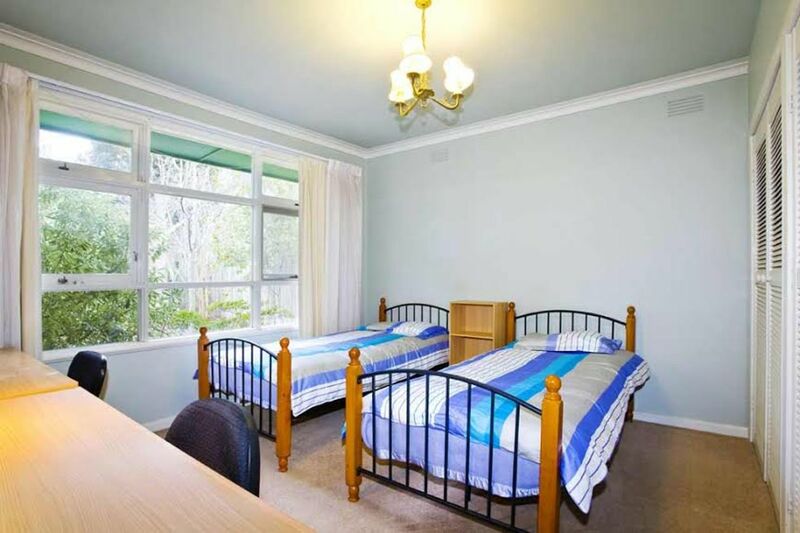 Wir haben leider keine Unterkunft gefunden, die deinen Wünschen entspricht.Alle Privatzimmer in Greenwood House ansehen. Wir haben leider keine Unterkunft gefunden, die deinen Wünschen entspricht.Alle Ganze Wohnung in Greenwood House ansehen.